There’s no doubt to anyone that’s ever visited that Atlanta is one of the most culturally relevant cities there is. In addition to being an informal capital of the south, Atlanta is Georgia’s most populous destination—and one of the biggest hubs for air travel in the entire world. With all of these reasons—and many more—to move to Atlanta, it may be time for you to consider an Atlanta Georgia Self Directed IRA. These demographics add up to a very interesting opportunity in Atlanta: not only is the cost of living reasonable—even lower than the national average—but the large population opens up all sorts of opportunities for entertainment, nightlife, and easy-to-access travel. If you’re thinking about retirement in Atlanta, then you are indeed thinking about retirement—and that means that you might want to think about a Self Directed IRA. What is a Self Directed IRA? Simple: it’s an IRA that you direct yourself. With an IRA under your control, you’ll be free to invest in just about anything you want (with certain limitations) including private companies, real estate, precious metals, and more. Many investors find they have an independent streak in them and want to manage their own IRAs. Although it might sound like these IRAs are defined on their own, the truth is that a Self-Directed IRA can basically be any type of IRA. That includes a Roth IRA, a self-directed 401(k), and more. If you’re interested in learning more about these IRA options, click over to our Self Directed IRA definitions and accounts page. There you’ll learn about different types of IRA accounts that are available for Self-Direction. This is a generally favorable tax environment that, once coupled with Altanta’s own relatively low cost of living, gives you the ability to live in a big city without paying the usual big city prices. If you are sure that you want to retire near a major metropolitan area, Atlanta should definitely be on your short list. Are you Ready for an Atlanta Georgia Self Directed IRA? If you think that you want to retire in Atlanta and you’re interested in an Atlanta Georgia Self Directed IRA, then make sure to bookmark this page so you can frequently refer back to it in your research. You would also do well to continue exploring AmericanIRA.com to find out more about the different investment types available to you when you self-direct your own IRA. We have plenty of blog articles as well as static web pages and downloadable content to ensure that you’ll get the most information possible. And if you’re interested in learning even more, you can always contact us at 828-257-4949 to find out more about self-directed retirement. You might have heard of this phrase before, liked the idea, but never really took the time to look into it. But now part of you knows that it’s definitely the time. An Atlanta Georgia Self Directed IRA is truly one of the most important ways in which you can take control of your financial future, deciding where your retirement investments go and how your portfolio will look. But what exactly does “Self-Direction” really mean, and what are your options should you choose to direct your own retirement account? In this section, we’ll take a closer look at what this phrase means, the various tools you have at your disposal, and break down these IRAs into their individual categories. Along the way, you’ll find that the same protections you have for traditional retirement financial protections are available even if you self-direct. Why an Atlanta Georgia Self Directed IRA? Stocks. Mutual funds. CDs. Bonds. For years, you’ve heard that these are the types of investment vehicles through which to secure your retirement. The stock market tends to appreciate over the long haul, after all, and bonds are conservative and low on risk. Mutual funds have popped up in recent decades as one of the most popular investment vehicles as well, closely monitoring certain aspects of the stock market. What most people do not know is that these are not the only investment types available for retirement. In fact, if you choose self-direction, you’ll find that the IRS allows for all sorts of different types of investments in a retirement account. You can invest in gold and precious metals, real estate, private companies, and more. There are a few select limits on the sorts of investments you can make, but the good news is: you often have more legal options than you have limits. And, like other IRA types, Self Directed IRAs come with all sorts of investment protections. Traditional IRA: A retirement account in which you can invest pre-tax or after-tax dollars, and in which your investments grow tax-deferred, meaning you will pay taxes on them once you begin withdrawing them. When you start making retirement withdrawals–defined as withdrawals after you turn 59.5 years old–the money is treated as income. Roth IRA: Similar to a traditional IRA, except you make after-tax dollar contributions so you’re paying taxes on the front end. This allows your investments to grow tax-free. After the account has been established for 5 years and after you turn 59.5, your withdrawals are tax and penalty-free. Traditional 401(k): A qualified plan that allows employees to make pre-tax elective deferrals. 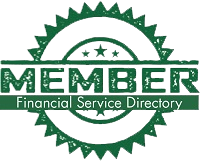 Business owners who want to self-direct can use these as well and allow employees to self-direct their accounts. SEP-IRA: Simplified Employee Pension that allows employers to make contributions to the retirement of their employees. An employer can also contribute to their own retirement with a SEP-IRA. SIMPLE: Savings Incentive Match Plan for Employees. A “tax-favored” plan that small businesses and individuals can set up for their employees. Solo 401(k): A 401(k) plan that a self-employed individual can use for retirement that offers high contribution limits. As noted throughout, these same accounts offer a high degree of self-direction if you want to direct your own accounts. Real estate: Apartment buildings, commercial property, retail space, raw land, etc. If you want to earn an immediate income for your retirement account with your investments, rent can be one of the most powerful ways to ensure that. You can also use leverage in a Real Estate IRA when using non-recourse loans. Private IRA Lending: You can negotiate the terms, interest rate, and length of the loan, as well as other variables like the monthly payment amounts and whether the loan is secured or unsecured. Private companies: Public stocks are what most people think of as “investments,” but there are also private stocks to consider. There is a lot of opportunity for growth in private company stock, but also plenty of risk to consider. Tax liens: With a high rate of return, these investment types are ideal for self-directing investors with smaller accounts. Precious metals: Gold, silver, platinum, palladium. These metals are famous as a “hedge” against economic downturn, which is why many people turn to them as a way to avoid putting all of their eggs in the stock market basket. Single Member LLC: An investor can create an LLC to be owned by their IRA, managing it themselves. This gives a significant degree of protection, however you’ll likely want to consult with a professional to learn how to do this properly. As fun as it is to talk about the various options you can have with a Self Directed retirement account, it should be noted that there are certain limits, as well. You cannot self-direct a retirement account to invest in life insurance, collectibles like art, gems/jewelry, coins, alcoholic beverages, and tangible personal property. As enticing as it might be to put that wine cellar under an IRA protection, it’s simply prohibited–so look for your protected retirement investments elsewhere. Open an Atlanta Georgia Self Directed IRA with American IRA. Make sure to put thought into the type of account you’d like to open; review the options available to you and select the one that makes the most sense for your individual situation. Contribution: Simply putting money into the account throughout the year. This is what a lot of the funding will look like once the account is already opened. Conversion: Withdrawing part or all of the cash/assets from a traditional IRA and putting them into a Roth IRA is called a conversion. Once the cash/assets are distributed, you have 60 days to put them in the Roth IRA account. Rollover: A tax-free distribution of cash/assets from one account to be put in another retirement account. You are permitted one rollover per year. Transfer: Transferring cash/assets directly from one retirement account to another retirement account. Because you do not take direct possession of the cash/assets, you are allowed unlimited transfers and there is no tax. Select an investment. Where will you invest your retirement account? Do a lot of research to ensure that you’re comfortable knowing all of the tax rules and implications of choosing a new investment type. Review instructions. Check out How it Works. Provide payment authorization. Submit the proper forms for expenses pertaining to the asset owned through your IRA. Submit deposit coupons. Deposit the income generated by your IRA asset by submitting these forms along with the funds.